North Shore Cardiac Imaging, P.C. (New Hyde Park) - Book Appointment Online! 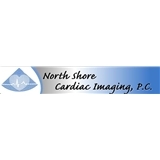 Since 1991, the physicians and staff of North Shore Cardiac Imaging, P.C. have been meeting the cardiac health needs of patients on Long Island and in the five boroughs. Our physicians are board certified in internal medicine, cardiovascular disease, nuclear cardiology and interventional cardiology. They lead a team of nearly 40 clinical, technical and administrative personnel to offer a full range of comprehensive medical care. He was very nice and attentive. I felt comfortable and enjoyed the visit. Doctoe and staff was very professional and friendly. They were so welcoming and the Doctor really cared enough to sit and get to know me as a new patient. It was nice not too wait long although they were very busy, it did not feel like I was there forever like most offices. He listens and reacts to your needs. He's awesome!